Helping customers save money has never been easier with the Nest Thermostat E. It’s easy to control – and easy to save energy. 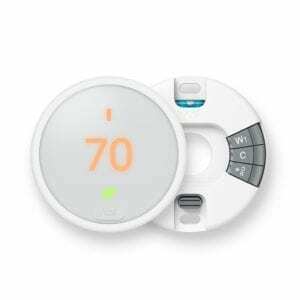 The Nest Thermostat E works with most 24V heating and cooling systems. Customers can change the temperature with the Nest App. Same proven energy-saving features as the Nest Learning Thermostat. Nest can send remote alerts if a system needs attention. Adjust the temperature with voice-activated Google assistant or Amazon Alexa. The frosted display blends into any home.